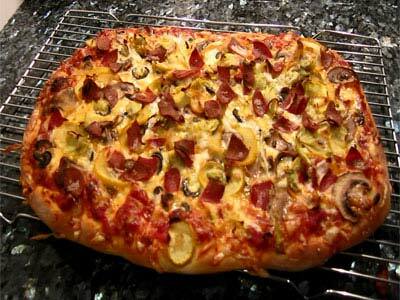 We love to cook and pizza is our favorite dish. We started making pizza back in our college days and since then we have been on a never-ending quest to create the perfect pizza, like one you would get in a great brew pub. We’re getting close to our goal – we’ve recently discovered the perfect crust recipe, and our sauce made with Escalon 6 In 1 All Purpose Ground Tomatoes is absolutely delicious!